I chose this book to read from Rosie Amber’s Book Review Team book list. I absolutely loved this trilogy!! Yes, it did!!! I’m glad you liked it as well!!! Glad it had a great ending for you. Thanks for the review. It was a really good ending and I think the most suspenseful book of the trilogy. This is so strange! 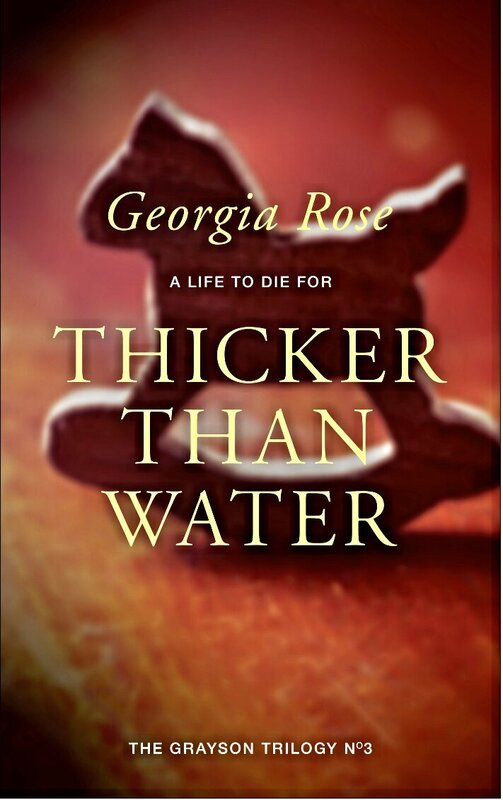 I recently read a book called Thicket Than Water too, but the one I read was a YA paranormal romance thriller. It’s been a while since I picked up a YA book. I’m a big YA fan (it’s what I write, too). I’ve read some brilliant YA thrillers lately. I should look into more YA titles. If you ever want recommendations, let me know! I definitely will. The most memorable YA books I read were the Jenny Pox books. I think you were right to go with your instincts, Georgia. I can’t imagine you calling it something else. The one I read (by Brigid Kemmerer) only came out a few weeks ago, no way you could have known! It’s a great title!